Alas, friends, we find ourselves trapped amidst another lengthy and inexplicable Steven Universe hiatus. Where do we go? What do we do? We could watch the whole show entirely through? Now’s as good a time as any. 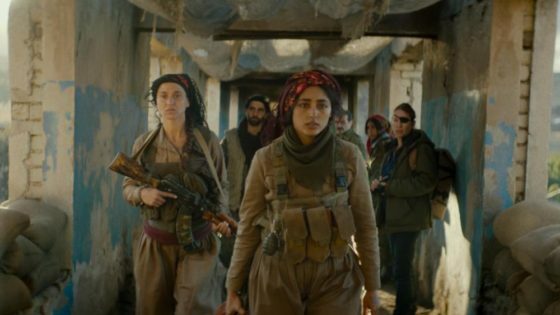 The latest episode left us with a huge reveal and the likelihood of follow-up when the show returns in April. And with all the ridiculous breaks between episodes, many fans can likely use a refresher of the events leading fans to our current state of affairs. Across those five seasons, Steven Universe has assembled a pretty terrific cast of characters. A natural question comes up while thinking on and discussing these characters; what episode defines them best? What episode tells you who a character is and what they’re all about better than any other? If you had to recommend one episode that represents a character best, what would it be? 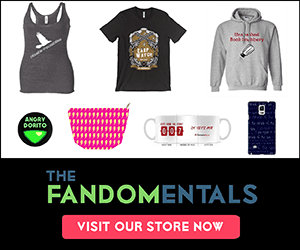 Since we love rankings, Steven Universe, and fandom discussion, we here at The Fandomentals decided to sit down and decide on a single episode defining many of the important characters the show has to offer. Not everyone, unfortunately, because that simply would have taken too much word space. I understand that choosing a defining episode can be a bit vague. 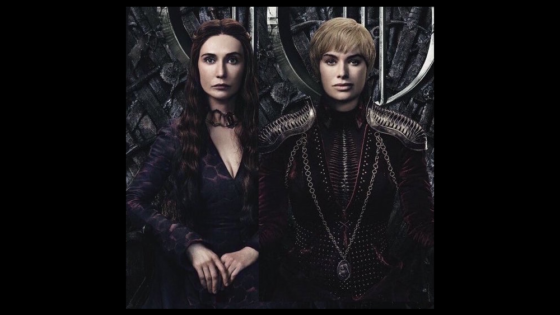 Are we choosing the best episode focused on them? The one most about them? One defining certain relationships? Well, we tried to go for the best mix of all these factors. I think we did pretty well. 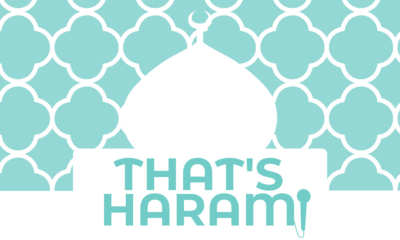 Without further ado, let’s take a look at what we decided on. If you disagree (many of you will, of course), let us know in the comments below. Yeah, that about sums up the episode. There was a bit of discussion on whether or not to split Lars and Sadie. After all, so many of their episodes focus on each other and their ever-complicated relationship. Ultimately, we split them because both did stand strong on their own strengths. However, this caused the second complication of deciding just how important it was to include one in the definitive episode for the other. Because let’s be real, you can’t talk Lars without Sadie, or vice versa. So why “Sadie’s Song” for Sadie, an episode lacking in Lars entirely? I think it stands tall because it’s such an individual episode for Sadie. It’s the best example of who she is without Lars, and there aren’t many of those. Quick recap; after Steven catches Sadie singing along to a pop song, he does the friendly Steven thing and encourages her to sign up for a local talent competition. When Sadie’s mom finds out, the whole thing turns into an anxiety-inducing nightmare as she and Steven dominate preparation and force a whole bunch of things on to Sadie without any consideration for her. Ultimately this culminates in Sadie freaking out moments before going on stage and an overdue conversation where she spills her dislike for her mother’s overbearing parenting. Basically, without featuring Lars at all it explains why she sticks by him despite some pretty crappy treatment throughout the series. We learn better than any episode before it who Sadie is. She’s an intensely shy and insecure person lacking confidence in herself. Sadie Miller isn’t the tallest or prettiest girl. She’s not the most popular. She knows it, and doesn’t think much of herself as a result. As a result, exposing herself to possible ridicule scares her more than the monsters of “Island Adventure” ever could. This insecurity is something she shares in common with Lars and probably drives their bond. She’s also a bit of a pushover, something Lars and her mother often exploit. It’s something Steven himself does here in his incessant prodding towards the talent show. Sadie is the kind of person who lets people overshadow her and boss her around. However, she does have one talent/interest that breaks her out of her shell, and that is music. This episode does a lot to set up recent episodes where Sadie does finally gain a little self-confidence through singing alongside the Cool Kids. When her life finally turns upside down with Lars trapped in space, music inspires her to finally seek something better for herself than a dead-end job in a donut shop. Along the way we also get a pretty nice episode that’s worth it just for Steven rocking a skirt and heels. This one feels a bit premature, because the best of Jasper is obviously yet to come. Everything we’ve seen so far has functioned as part of an ongoing introduction to her. Perhaps we should have waited to update this list in the future. But hey, by that point we might have an obvious choice that creates no discussion. 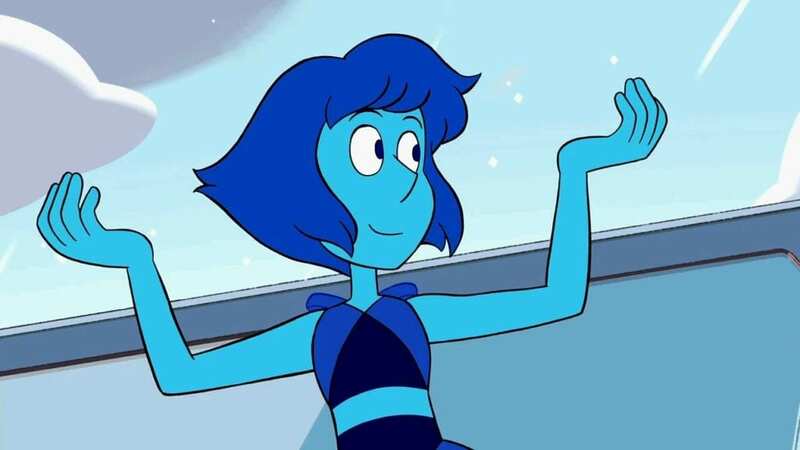 So why “Earthlings” instead of one of her Lapis episodes or her introduction? We chose “Earthlings” because it’s the best episode to actually delve into the motivation and personality behind the big buff Cheeto puff’s anger and role in Homeworld. We know a few things about Jasper going into this episode. She judged her worth by her strength, she had an obsession with Rose Quartz, and despite being “born” on Earth she feels disgust for it. Every episode set her up as a rather black and white antagonist, even if you saw glimpses past the surface. With “Earthlings” we finally saw past that surface. We learned that she hates Earth because of the stigma of weakness attached to gems created there. She judges everyone and everything based on strength for the same reason. 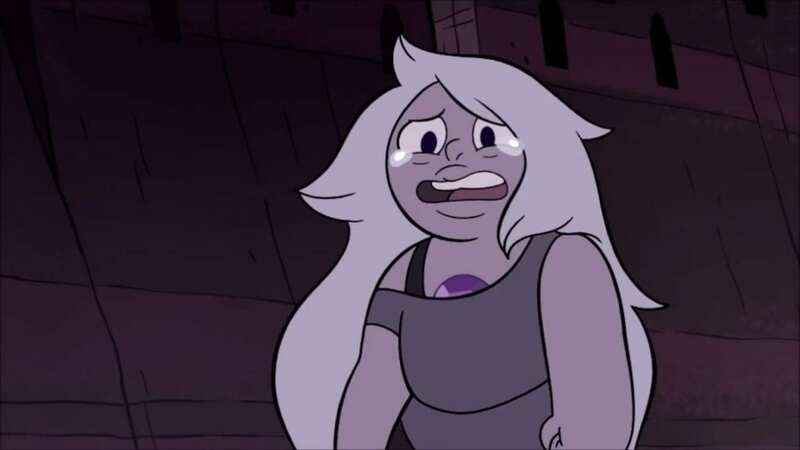 Most important of all, we learned that she hates Rose because of Pink Diamond’s death. 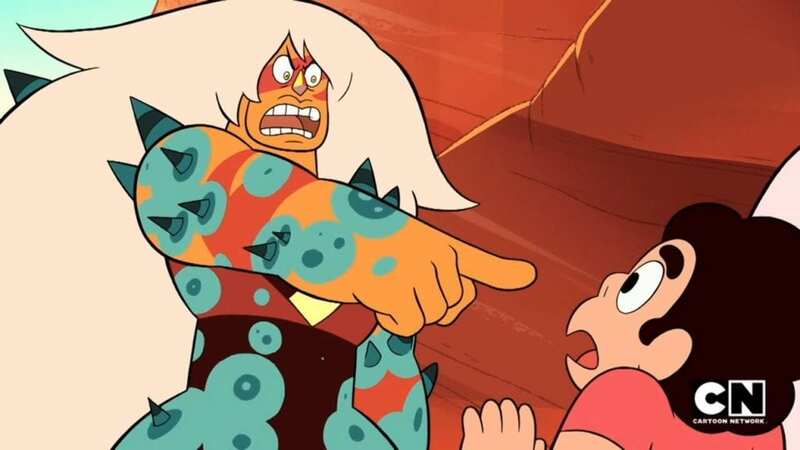 This moment also revealed a conflict in Jasper over her disgust for Earth and her connection to it. Rebecca Sugar has said Jasper hates herself for being born on the planet. As hard as she tries to escape the weakness she believes inherit to her creation, she still believes this weakness exists and she cannot escape it. Jasper has become quite the tragic character in large part because of what we learned in the arc that ended with this episode. “Earthlings” was the episode most responsible for contextualizing Jasper’s previous actions. If you have to pick an early Steven Universe episode defining her, this one stands tall. Pictured: The elusive happy Lars in his natural habitat. We had a few no-brainers while deciding these rankings and this was one of them. Everything you need to know about Lars is here. His obsession with the Cool Kids, his friendships with Sadie and Steven, a secret hobby, and most importantly the insecurities which drive his life all feature in one single, beautiful episode. Lars has always been a divisive character. From the beginning he was that awkward, annoying teenager who treats Steven poorly, treats Sadie nearly as bad, and cared more about whether the cool kids liked him than anything else. He does some really terrible things to numerous people of Beach City. You could see glimpses of the underlying insecurities, but for many like me it was easy to dislike him anyway. Even when he matured a bit it was hard. “The Good Lars” stands out as the episode that both digs deep into the things to hate about Lars as well as the things that make him easily sympathetic. I can’t imagine anyone watching this episode and not sympathizing at least a little bit with his fears. Lars is a deeply insecure kid. He’s unhealthily uncomfortable in his own skin. Think about how awesome a skill baking is. There’s no reason to think anyone would think less of him for making Ube. However, Lars is so insecure that even this cool skill causes him to question himself and put himself down. Most often it is this insecurity that drives the stuff people hate about him. Believe me, I get it. I have found him hard to stand because of his treatment of Sadie and Steven. He’s so unrelentingly awful to them sometimes. You wonder why they bother with him. Through his baking we can see why Sadie actually likes hanging around with him. He can be a passionate, kind person you enjoy being around. He has a good time with her and Steven, and them with him. And then he bails in the end. He constantly sabotages himself because of his insecurities and this was just the latest example. What makes it even sadder is how his image of what makes someone cool does not apply to the Cool Kids at all. Buck, Jenny, and Sour Cream are chill, accepting people who like all the stuff Lars constantly puts himself down over. For example, “Bingo Bongo”. “The Good Lars” has ended up placing itself at a pretty good middle ground between the kid Lars used to be and the pink-skinned space pirate to come. If you’re looking for a good episode to show all the positives and negatives of our adorably awkward Filipino teenager, this is the best you’ll find. 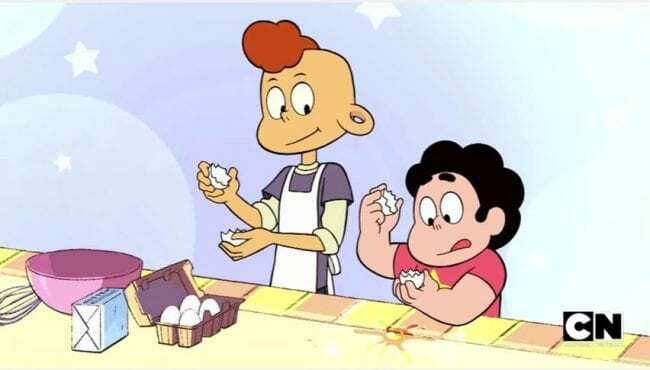 Where Lars had a pretty easy choice for a definitive episode, Connie most certainly does not. I really expected her to be an easier choice, but once you start looking, what one episode best tells you who Connie is? She’s been around so long and shown so many facets to her character. It was tough to decide on one. And as such, here I think we have an episode that most certainly is not the best Connie-centric episode, but does a pretty great job of defining her character. Not to say “Nightmare Hospital” is a bad episode. Most definitely not, or it would not have been chosen. Connie is introduced as a shy girl enraptured by the exciting life Steven lives with the Gems. From the beginning her desire for adventure stands out. It doesn’t take her long to begin involving herself in Steven’s adventures and learning more. Before you know it she goes on some of her own and takes sword lessons from Pearl. 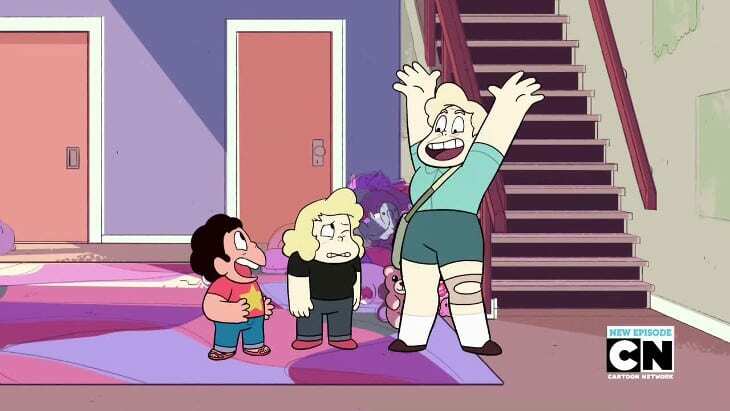 Look at her now; the latest episode had Connie fused with Steven and surviving an alien planet. As strong as her relationship with the gems is, though, the relationship that dominates her life more than other for the majority of Steven Universe is with her mother Priyanka. It’s clear right away that they have a complicated relationship. Priyanka’s a bit domineering and expecting, and Connie often struggles with being truthful about her friendship with Steven because she fears her mother will demand she stay away from them. You can’t talk about Connie’s character without mentioning her mother. “Nightmare Hospital” is an underrated key point in Connie’s show-long character arc because of how it tackles these two key elements. 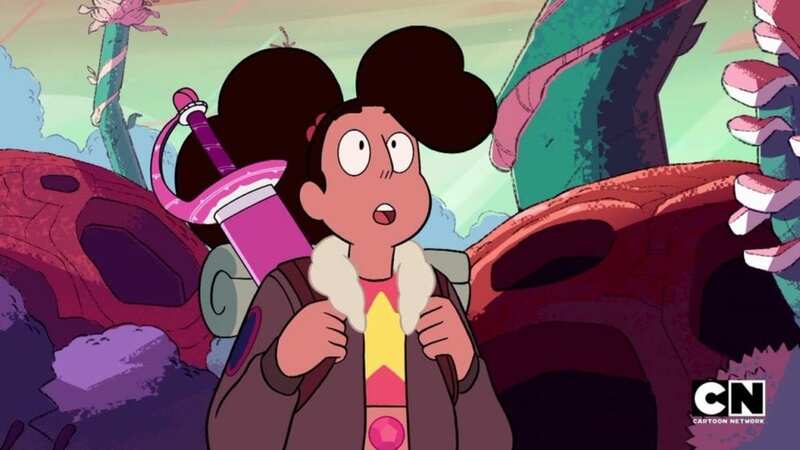 It works as a turning point in her gem adventures since it’s the first time she wields Rose’s sword alone in a position of danger. It also takes the important step of melding her newfound swordsmanship with her relationship with her mother. As a result you get a rather complete picture of Connie as she was, is, and will be afterwards. Along with these two featuring elements, you also get direct examples of her relationship with Steven and an indirect look at her mentorship with Pearl. The episode may only be a relatively unimportant slice of life in the plot of Steven Universe, but it’s a pretty great one for Connie Maheswaran. We tried to have a debate for Peridot’s episode. To be fair, there are other episodes that do a pretty good job with her. In the end, nothing topped this one. It’s just perfect for her and one of the best little episodes Steven Universe has yet aired. Peridot has undergone and continues to undergo quite a transformation since her first appearance as a Homeworld-aligned enemy of the Crystal Gems. “Log Date” works as a perfect transition episode from who she used to be to who she is now. We see her interact with every member of the Crystal Gems, we get her thoughts on everything, and we witness the transition from antagonist to hero. Peridot has a lot of history and personality you won’t get from this episode, but ultimately it works best for her because of its focus on the key element of her character; her discovery of Earth’s beauty. Her development from villain to someone who vehemently defends Earth is her central arc. “Log Date” exists as an abbreviated summary of her journey symbolized through her acceptance of Garnet as a fusion. You’ll probably notice a theme at this point of picking episodes that serve as great transition points for characters, and the same applies here. However, this really stands strong for character definition reasons as well. 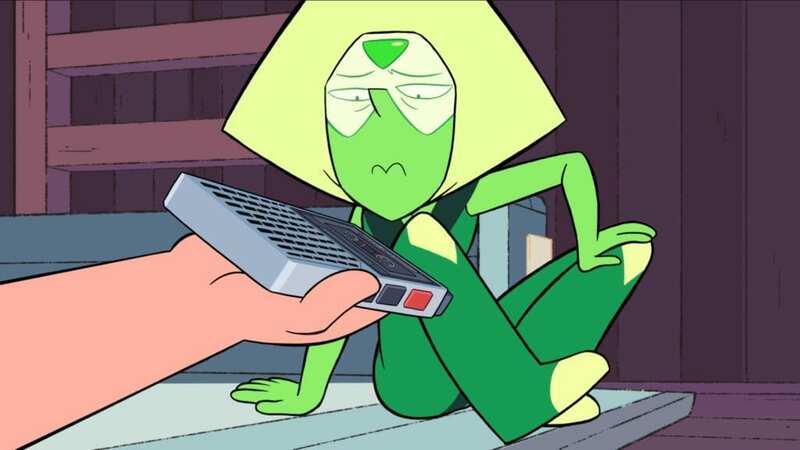 Peridot is a small, intelligent, goofy, curious, somewhat prejudiced smol gem. She is often a joke-centric character, but many of the show’s lessons are delivered through her. Every Crystal Gem went through the journey we see Peridot undergo. They all had (and in some instances still have) Homeworld conditioning to overcome. Through Peridot we have always gotten an idea of what it might have been like for Garnet, Pearl, and even Rose as they experienced Earth. No episode shows this journey for her better than “Log Date,” and as such no episode more deserves to be called Peridot’s defining episode. This smile must be protected. Now for a controversial one. TBH it came as a bit of a surprise for us as well. I also have a feeling it won’t last long if the latest spoilers are any indication. So why “Alone at Sea” and not one of her more popular episodes like “Ocean Gem” or “Mirror Gem”? Well, and stop me if this sounds familiar, “Alone at Sea” has about everything you need to know about Lapis. Also, despite its controversial status, we love the episode, so quality was never an issue. Lapis Lazuli has a few key traits and plot developments most important to her character; her friendship with Steven, her time with Jasper as Malachite, her marriage friendship with Peridot, her low self-worth, and her PTSD over her imprisonment in the mirror. “Alone at Sea” not only hits all but one of these important character elements, it offers resolution to a couple of them. As I’ve hopefully established by this point, we’re looking for the episodes that tell you who a character is more than any other, and this one most certainly does that. This one centers mainly on Lapis’s trauma from her time as Malachite and in the mirror. Specifically, her making the decision to try and move on from these traumas and try to heal. 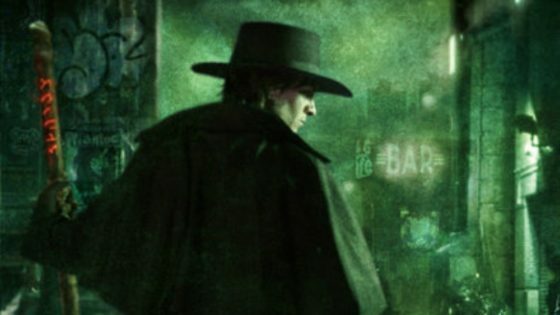 The result is a perfect example of a defining episode for a character. This was one where Lapis directly confronts the defining elements of her character. Namely, Jasper. She’s offered a chance to fall back into the harmful patterns of her life and explicitly rejects them. As a result she decides to stop being the person she used to be and choose a new way forward. She literally makes the choice to decide who she wants to be. Can’t get much more defining than that. Why does she choose to be better? Well, in large part because of the most important relationship she has in the show, which is her friendship with Steven. The confrontation with Jasper very much has an “angel on one shoulder, devil on the other” dynamic where Lapis is faced with her best and worst natures through the arguments of Jasper and Steven. Steven is the one who freed her from the mirror and has always believed in her where others doubted. He frees her from the mirror, helps her get back to Homeworld, frees her from Malachite, and does his best to be there for her. There’s no one more important to her. Maybe Peridot, but I don’t think so. To summarize, you see Lapis’s past, personality, and almost every relationship feature in an episode where she makes a monumental decision about her life. Maybe there are better Lapis-focused episodes, but none that do so much to tell you who Lapis is and what she wants to be. Let me start with a confession; this episode had not come out yet when we voted and this is purely my decision. However, I think it’s a no-brainer. This is THE Stevonnie episode. It’s the culmination of everything they trained to be and everything their arc worked towards. The day was always going to come when Stevonnie would be placed in a situation demanding all their combined skills in order to survive. That’s exactly what “Jungle Moon” did and it was amazing. This is our closet look yet at a fully realized Stevonnie. Fresh off of Steven and Connie’s reconciliation, Stevonnie is in a really good place. 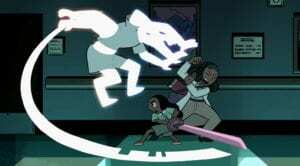 They have a full command of their swordsmanship, a strong command of their powers, and the best of both Steven and Connie shows through. None of the conflict or uncertainty of previous episodes feature at any point. They even grow survival stubble, and it’s the best thing ever. That’s not to say none of the inner workings of Stevonnie shine through. The dream sequence culminating in the reveal of Pink Diamond is one of the best segments Steven Universe has ever done for multiple reasons, and one of those reasons is the way it delves into the key conflicts for both Steven and Connie. I’ve already mentioned how important Connie’s relationship with her mother is, and you see it again here. It’s not a coincidence that the dream portrays Yellow Diamond as Priyanka Maheswaran. The symbolism of Connie’s complicated relationship with her mother shines through strong there. And of course as a dream focused on Pink Diamond, Steven obviously matters since the question of what happened to her is so important to him recently. I’m going a bit differently compared to my other definitive episodes so far. However, I think this is the best episode you can see for how healthy Stevonnie is for Steven and Connie, and also for Stevonnie themselves. It may not delve into healthy fusion like “Alone Together” or their continuing mental process like “Mindful Education,” but this isn’t a definitive episode for the inner workings of a fusion. It’s for Stevonnie, and “Jungle Moon” is our best definition yet for our badass beard-grower. Talk about a tough choice. We actually ended up with a tie between “Three Gems and a Baby” and “We Need to Talk,” and neither was particularly far ahead of some other choices. Greg is an example of a character who doesn’t see his own feature episodes often, but when he does the Crewniverse knocks it out of the park. In the end, we’re going with “Three Gems and a Baby” because it manages examination of everything important to Greg Universe’s life. As much as he loved Rose, she is not all that matters to his character. “Three Gems” is perfectly placed in ways no other Greg episode is. He’s still grieving a recently deceased Rose. Newborn Steven provides challenges and questions he still questions 15(?) years later. The difficulties of his relationship with the gems feature prominently, difficulties only recently beginning to dissipate. Basically, this episode is dominated by the people Greg cares about most in the world. Of course, we’re not looking for an episode about them, we’re looking for an episode about Greg. Thankfully, we picked one all about him. Greg Universe is not a particularly complicated man, even though he’s a great character. He loves his son more than anything and grieves Rose. 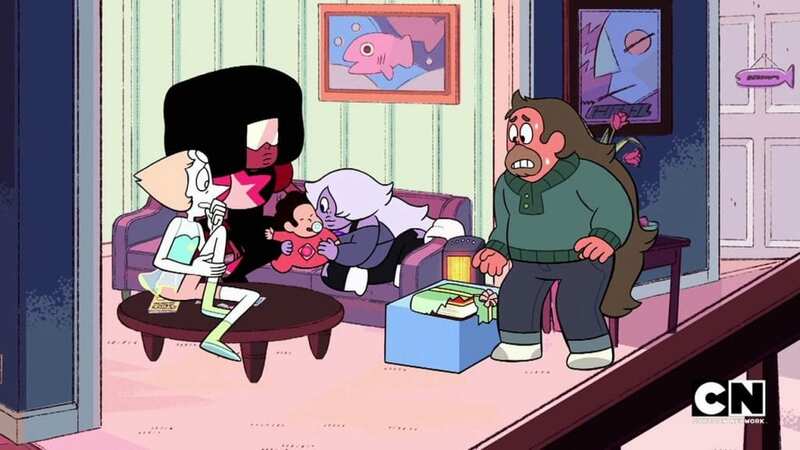 Steven’s true nature as half-human, half-gem confuses him and leads to an uneasiness in his parenting. His relationship with the Gems has been mostly uneasy. We see all of this in “Three Gems”. Everything that makes Greg who he is. He even sings, so you know about his love for music. Who is Greg Universe? He’s a good, cheerful man, a great father, and a man still struggling with the fantastical realities of the life he stumbled in to. I can’t imagine walking away from this episode without understanding that much about him. Come on, like we were going to break them apart! They’ll just come back newer. And they’ll always be twice the gem that you are. Simply, you cannot define either Ruby or Sapphire without the other. Problem with that in this conversation is picking the episode that both shows off their own personalities while also establishing the importance preventing us from separating them. And, well, “Keystone Motel” does that better than any other. It’s a glimpse into the struggles of their relationships, the first real glimpse of their separate personalities, and a pretty great episode to boot. Most episodes unfusing Garnet tend not to dive into the differences between Ruby and Sapphire. They certainly shine through, but never separate from each other. “Keystone Motel” shows them at easily the lowest point of their relationship. They react very differently to Pearl’s manipulations to form Sardonyx and it comes close to breaking them apart. Ruby is shown to be hotheaded and impulsive, unable to forgive. Sapphire wants to forgive Pearl because it’s the right thing, but as a result buries her emotions. Of course, they love each other and make up in the end. After thousands of years they weren’t going to let this disagreement end the relationship. Up to this point, and ever since, we’ve never seen the personal differences between these two to this extent. 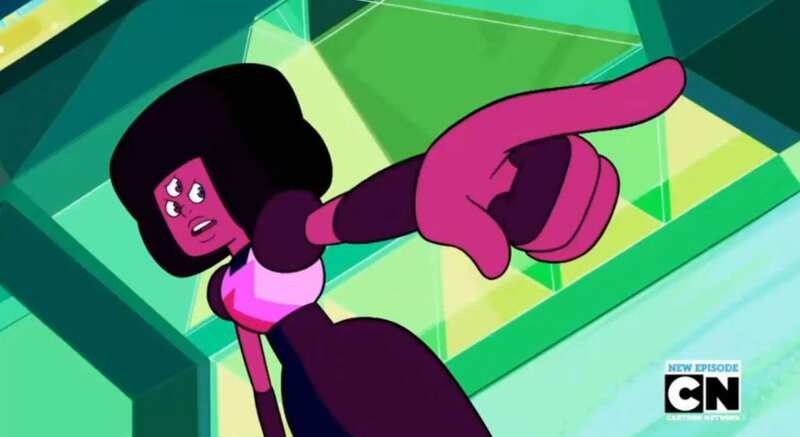 We’ve seen how they fall in love, we’ve seen the reveal that they fuse to form Garnet, and we’ve seen them adorkably manage their relationship. Only “Keystone Motel” shows the deeper relationship beneath. It was much appreciated. Remember what I said about no-brainers? Yeah. This was the biggest no-brainer of all. “Jail Break” is probably the best known and most beloved episode of Steven Universe, and easily the best choice for Garnet. This is the episode that literally defines who Garnet actually is. Namely, that she’s a fusion of Ruby and Sapphire. However, it goes deeper than that. We see the entire motivation for Garnet’s existence and place in the Crystal Gems and on Earth. She’s a wlw relationship fighting for her existence. This is also the episode with the most iconic Garnet fight scene, if not the most iconic fight scene in the whole show, between Garnet and Jasper. Garnet does have a well-earned reputation for her fighting skills, and we see that in the way she defeats the “perfect” Quartz soldier. And she does it all while singing. I’m not really going to expand further in this case. Hopefully I don’t have to. “Jail Break” is THE Garnet episode, one of the most popular episodes of the show. Maybe the most popular. What episode possibly tops it? I doubt any episode ever will. Oh, Amethyst. Our poor little Martell trash baby. She was born hundreds of years too late, a few feet too small, and all alone in a Kindergarten. The circumstances of her creation have haunted her seemingly since the day she learned what was “wrong” with her and what her Kindergarten was for. Just like Pearl, none of us had any idea about the defining worry of Amethyst’s life until this episode aired. 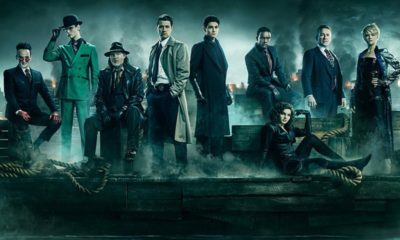 We haven’t included origin stories as a defining episode because most origin stories don’t tell us who a character truly is, just how they came to be. In Amethyst’s case, her origin is “her entire existence”. She never stops thinking about it. Any small incident can make the guilt come flooding back. It took a long time for Amethyst to shake the feeling that she is wrong to even exist. She thinks she is inherently bad because the Kindergarten is a bad place where bad gems came from. She thinks the others dislike her for it. Hence, “I never asked to be made”. Nothing matters more to Amethyst’s character than her origin, so if you’re going to pick a definitive episode for her, this is the one. Sure, she’s come a long way since. She met and was easily accepted the other Amethysts at the Zoo. Her arc with Jasper strengthened her bond with Steven and that helped her accept her birth a bit. However, she certainly hasn’t forgotten her previous guilt and it can always come back. Besides this needed focus on her origins, “On the Run” also features the two relationships most important to her. Steven feels much of the inadequacy she does. Their relationship eventually culminated in the formation of Smoky Quartz. Pearl spends much of the show in an antagonistic role for Amethyst. She’s the snooty gem who, inadvertently or not, piles on to those feelings of inadequacy so central to our poor trash baby, though they’ve come a long way recently. Much like “Stronger than You” for Garnet, it’s hard to imagine an episode topping “On the Run” when it comes to defining Amethyst. It will always define who she thinks she is, no matter how she manages to find peace with it. When thinking of this concept, this was basically the definition by which we considered every other character’s defining episode. “Jail Break” may be the biggest no-brainer, but “Sworn to the Sword” is more than just a no-brainer. It’s the best example imaginable of a defining episode. It also happens to be arguably the best episode of the entire show in my humble opinion. While other episodes cover Pearl’s dedication and love for Rose, others cover her protectiveness of Steven, others feature her swordsmanship, and others include her mentorship to Connie, no other episodes combine all these essential elements of Pearl’s character into a single, perfect storm of character-defining goodness. This episode includes literally everything you need to know about her. It even includes her snooty teacher personality. What’s great is how it blends all these elements together and clarifies how they weave together. 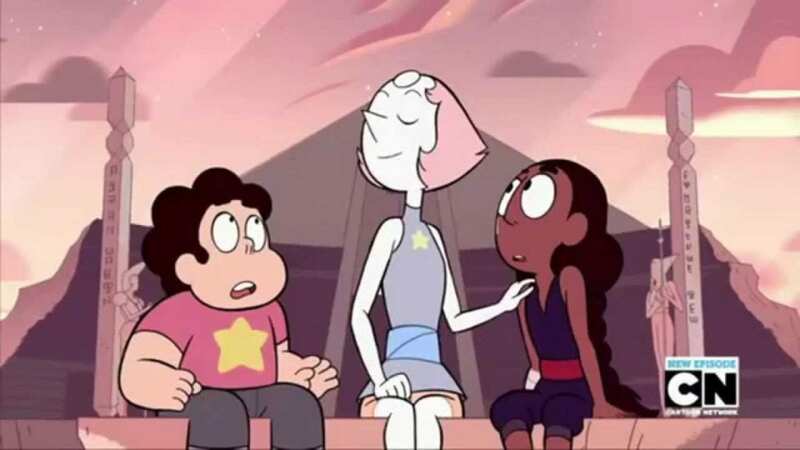 For example, how Pearl too often projects her love for Rose onto Steven. Her complicated emotions regarding Steven have always been a key part of Steven Universe, and feature strongly here. She goes overboard training Connie because of her continued grief about Rose. Her argument with Steven takes on the life of an old one she’s had dozens of times. Also important to her character and central to “Sworn to the Sword” is her continued lack of self-worth. Pearl never really found her own identity outside of being “just a Pearl” the way the other Crystal Gems did. She just made the transition to being Rose’s Pearl. Her entire self-worth is tied to others. Without Rose, Pearl has struggled to find a purpose. She projects her own search for purpose onto Connie because she recognizes a similar desire to protect someone you love. From her Pearl can recognize the unhealthiness of her continued love and grief for Rose, and begin to move on. It covers her past, present, and future in 11 amazing minutes. “Sworn to the Sword” is a perfect Pearl episode. It’s the best, defining episode of one of Steven Universe’s best characters. 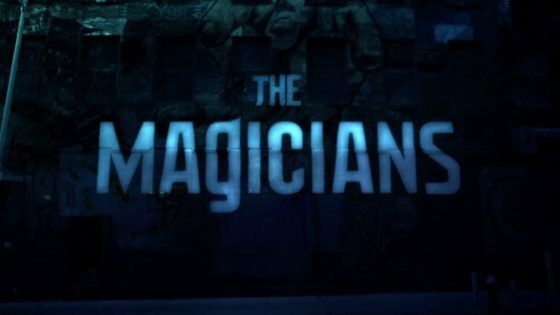 Frankly, I can’t imagine a better episode to convince someone just how good this show can be, and often is. And now for the hardest one of all. After all, how can you choose one episode to define Steven freaking Universe? As a character or a show? After all, this show is named after Steven and all about him. There is no single episode that effectively covers everything you need to know about him. Therefore we tried to focus on what aspects of Steven’s character we find most important to him and then find the best episode fitting those traits. Ultimately we decided Steven’s most important traits were his empathy, desire to heal, and love for Earth. “Gem Drill” shows off all these traits on an epic scale. The episode places the fate of the entire planet at risk, with the Cluster poised to emerge and destroy Earth. Steven and Peridot are forced to take a drill built over multiple episodes down to the core of the Earth in hopes of stopping it by destroying it. Only when they arrive, that’s not what happens. From the beginning Steven has taken a role as a reconciliatory and healer who seeks to close emotional distances and seek friends wherever he can. He has made friends of enemies numerous times throughout the series. It really shouldn’t have been a surprise to see him do the same with the Cluster. Just think about how far Steven goes in the pursuit of peace here. The very planet is at stake, yet he still feels the pain and anger of all the gems making up the Cluster. He believes he can help them and trusts they will do the right thing because he always feels that way. With his home planet at risk, he trusts in his ability to empathize and heal to save the day. He’s proven right. It also goes a bit beyond his ability as a healer, but the reasoning behind his insistence on peace above war. One thing Steven constantly struggles with throughout the episode is the legacy of his mother. 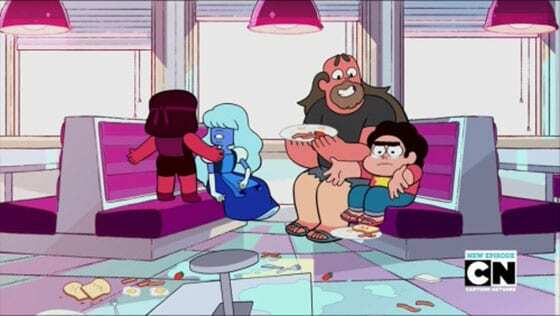 The point of the show will likely involve Steven rejecting the war Rose Quartz fought and making amends for it with Homeworld. “Gem Drill” was a fantastic glimpse at this likely future, and a look at the mindset that leads him to not do the same thing to Bismuth that his mother did. He may want to live up to his mother’s legacy, but he’s increasingly realizing he can only do that by rejecting much of the path his Rose walked. Also consider who is at his side throughout the episode. Peridot was a Homeworld gem who spent a while as a Crystal Gem enemy. Yet her she is rejecting the very reason she came to Earth and helping stop a Homeworld weapon. She is explicitly on Steven’s side. She is a perfect example of how Steven seeks friends of his enemies. 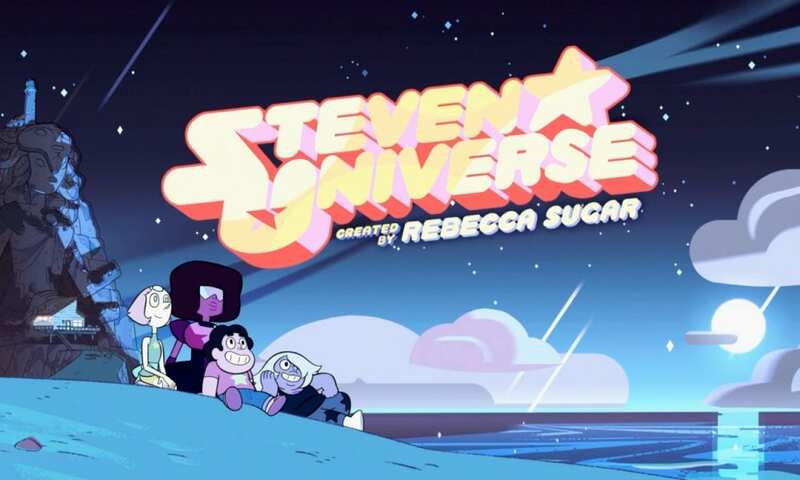 More so, as the title character, Steven perfectly exemplifies Steven Universe’s core themes of love and acceptance through his actions in “Gem Drill”. He seeks to accept and help the Cluster, who are in a damaged place mentally and need help. They don’t want to destroy. They are angrily lashing out in pain and loneliness. 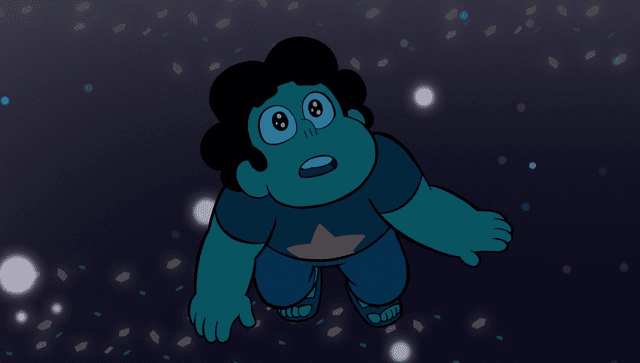 Steven accepts their pain into himself in order to help. He wants to heal everyone. And really what better lesson is there to take from this wonderful show? I expect many to disagree with this choice, simply because of how hard it is to pick a single episode for Steven. We didn’t exactly come to strong agreement ourselves. I stand proudly by this choice, though. If you want to know what path Steven will choose when faced with even world-ending conflict, watch “Gem Drill”. You’ll know exactly who Steven is and what choices he wants to make.